Made for low-cost gadgets: Google has optimized Android 4.4 for low-end devices that have 512MB RAM or less. The operating system will work more smoothly on smartphones and tablets with weaker hardware. This means that the vast majority of Android phones by the likes of Micromax, Karbonn, Lava and others will give a much better user experience. Smarter caller ID: Caller ID gets a major overhaul with KitKat. It will prioritize contacts based on the people you talk to the most and if the caller is not in your contacts list, the app will look up the numbers on local listings of Google Maps to identify it. Not only contacts, you can now look up nearby places, establishments and people in Google Apps in the app. User interface tweaks and app redesigns: Google has tweaked the user interface of Android with KitKat update. The status and navigation bars are now translucent instead of solid black and the icons are coloured white. Apps like Email and Downloads have been redesigned to make them more streamlined. The wallpaper can now be seen even when you pull down the notification bar. Google Now improvements: Google Now has also been updated with Android 4.4 and is now 25% more accurate. It introduces cards for local shopping attractions and finally talks back when you ask it a question. SMS in Hangouts, emoji icons: The SMS app is now a part of the Hangouts application in Android 4.4. Therefore, you can three key messaging functions – SMSs, MMSs and GTalk chats – via the same app. The stock Android keyboard now features emoji icons by default. QuickOffice integration: KitKat integrates QuickOffice document editor, which Google recently purchased, with the Android platform. This brings a free and efficient document reader and editor to the OS by default, just like Apple has done with its iWork suite. 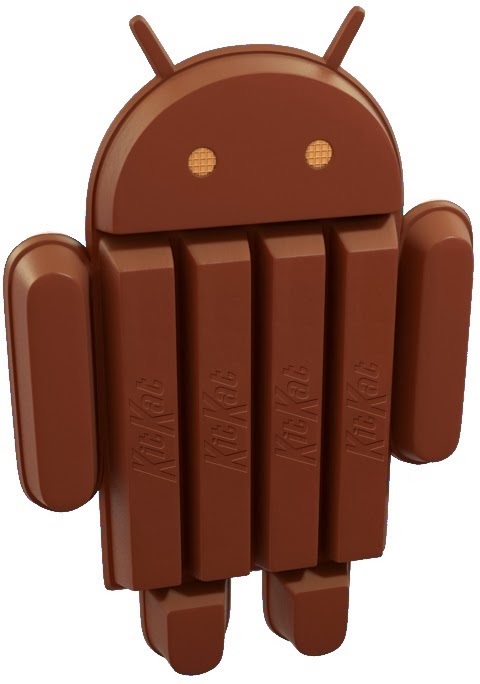 Always-on voice control: Android KitKat features always-on voice control that allows users to send text messages, locate places on Google Maps, play songs etc without ever touching the phone. 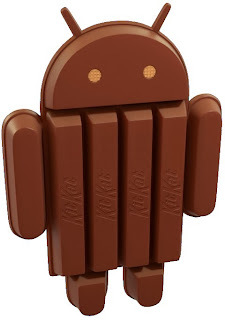 Screen recording: You can record whatever you do on your phone with Android KitKat. This screen recording function lets you capture videos of whatever functions you perform on the phone and save it as a MP4 file. This feature can prove to be useful while creating tutorials, marketing videos, testing materials etc. Support for cloud printing: Android KitKat supports cloud printing, allowing you to print photos, documents and web pages right from your smartphone or tablet. Currently, the Google Cloud Print function is limited to the HP ePrint range and printers that have apps in the Play Store marketplace. Step counting: Fitness freaks rejoice! Android 4.4 comes with a function called Moves that operates as a pedometer that counts your steps. Google says this is a battery friendly way to measure your daily activity level.